Paste Magazine named SockMonkeySound.com the #3 best music podcast in June 2012, out charting SoundOpinions, KEXP, NPR. USA Today’s Pop Candy named SockMonkeySound.com one of the top ten podcasts in Feb. 2011. Below you’ll find a list of articles written, and podcast episodes produced and performed (Songs About Stuff & Things Radio Hour), for N. IL’s podcast and cultural web site, SockMonkeySound.com. Note: The majority of 2012 focused on solely developing, scripting, producing, performing, recording, and editing podcast episodes for Sock Monkey Sound and Rockford College Radio. 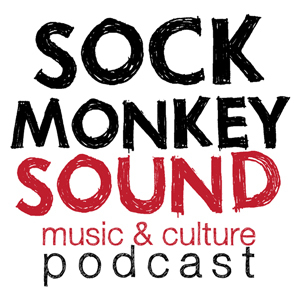 All episodes of my podcast are available on Sock Monkey Sound’s official site, RockfordCollegeRadio.com, and on iTunes, free. Bruce Springsteen “Tunnel of Love” | One step up, two steps back. REVIEW WRITERS NEEDED – An essay in need of writers. On The Waterfront, Rockford, IL – RFD, OTW, WTF, LOL! 18 Tickets = $9.00 = 1 Elephant Ear. FOX39′s “Rockford Idol” winner sings Leonard Cohen’s, “Hallelujah.” He’s from Naperville, by the way. Baseball, Heartbreak & A Letter From My Imaginary Friend, Greg Maddux. A Bandwagonesque: 1991 with Reggie “Railroad” Reynolds and The Teenage Fanclub. Cigarette lighters, nachos, Creed, 3Doors Down and fireworks.